A brand new Norwegian production of Clive's second musical, 'Alchemy' is being prepared for a series of shows to be performed in May 2017. With the majority of the roles cast and regular rehearsals being held, Caamora Norway project is developing at a fast pace. 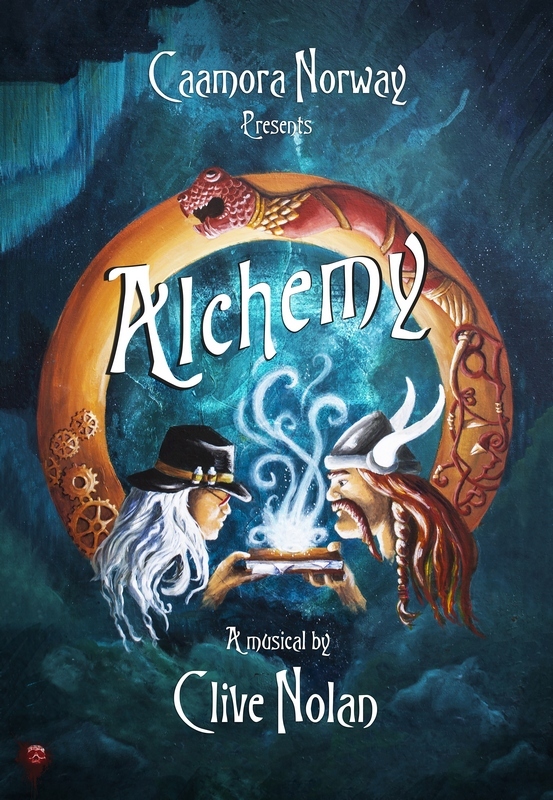 The artwork for "Alchemy", designed by a renown Norwegian artist, Kirsten Knoph Viita, is the latest addition to the carefully drawn production plan leading up to the shows. ‘Alchemy’ in Norway… coming soon!!" A big thank you to Kirsten Knoph Viita for designing the artwork and to Stig Andre Clason for creating its digital version. 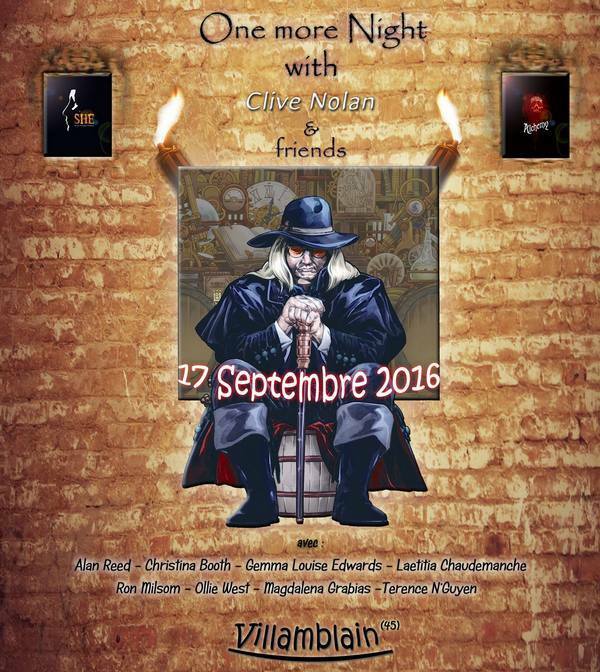 On September 17th, 2016 Clive will perform in Villamblain, France! During this intimate event you will hear songs from Clive's projects including his musicals, ‘She’, ‘Alchemy’ and the forthcoming "King's Ransom", performed in original theatre costumes. The show will feature the talents of The Caamora Theatre Company artists: Clive himself on keyboards and vocals, the legends of progressive rock scene, Christina Booth (Magenta) and Alan Reed and Caamora exquisite soprano, Gemma Louise Edwards! Clive and Friends will also be joined by their special guests, Laetitia Chaudemanche and Terence N'Guyen (guitar) of the French band Weend’ô. The soloists will be supported by the Caamora Chorus members, Ollie West, Ron Milsom and Magdalena Grabias. The evening will begin with an acoustic act from Weend’ô (trio) and finish with a buffet and a friendly meeting with the artists. 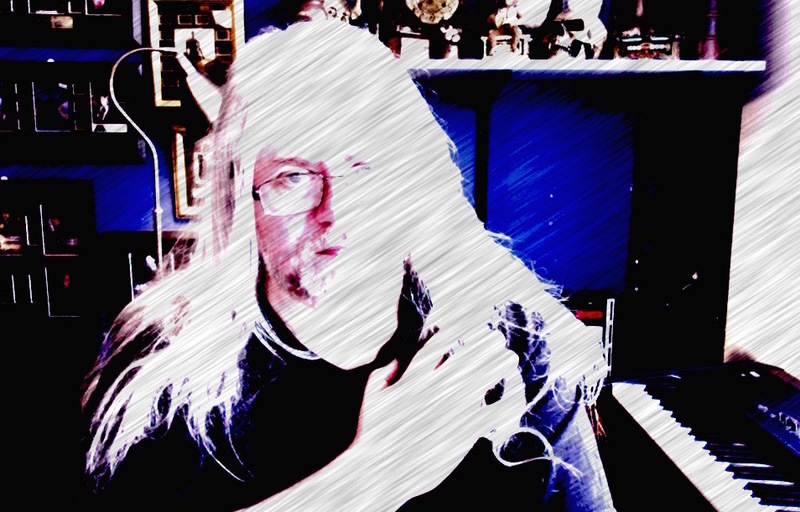 Clive: “It is with both excitement and sadness that I announce the parting of ways with Metal Mind regarding the future musicals. It’s time to see if we can reach out to new audiences and perhaps take the new shows down some slightly different pathways. Metal Mind continues to be a company I love working with, and they will still be marketing ‘She’ and ‘Alchemy’ (amongst many other things). Their support has always been a great part of what I do and I hope we will still be working together on new ideas along the way. 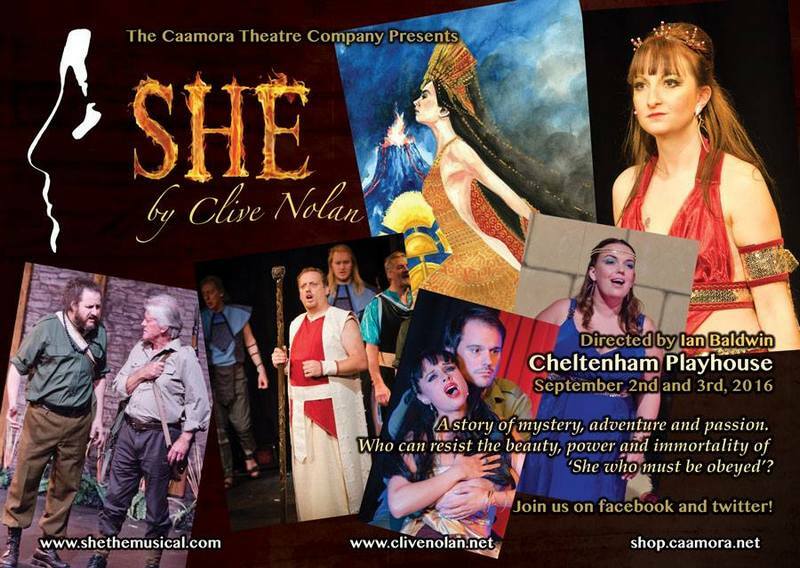 Tickets for 'SHE' in Cheltenham on sale now! A theatrical version of Clive Nolan's first musical will return to the Cheltenham Playhouse in September 2016. Paul Scott (manager of the Playhouse): "We're looking forward to welcoming back friends from around the world on 2nd and 3rd September when Clive Nolan returns with three performances of his musical version of H. Rider Haggard's classic adventure novel, 'SHE'. This will be Clive's fourth visit to the Playhouse and we're hoping more local folk will turn out to see the buzz when people from (usually) 16 or so different countries descend on our intimate theatre. Clive has recently been declared Best Keyboard Player once again (nine times now!) by the Classic Rock Society awards and he's a local Gloucester boy made good. " There will be three shows during the weekend: Friday evening, Saturday evening and a Saturday matinee. Special weekend deals allow you to buy tickets for two shows and get the third one free! Clive Voted "Best Keyboard Player" by CRS! 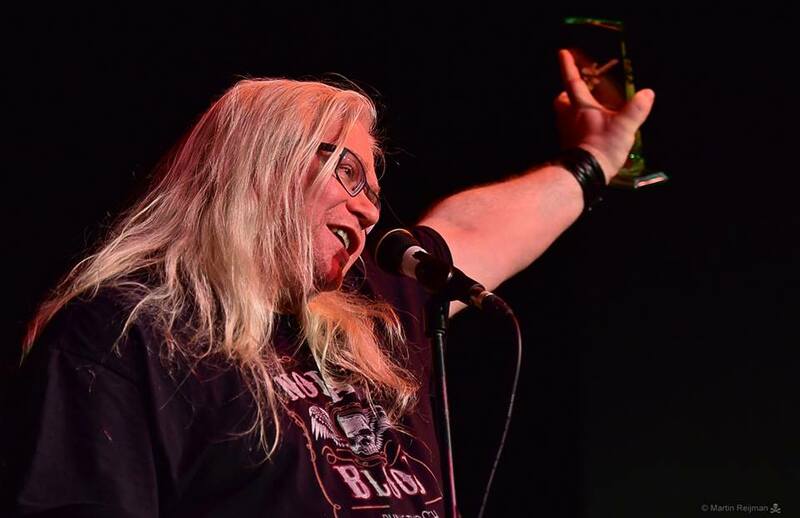 Clive Nolan was voted "Best Keyboard Player" of 2015 by Classic Rock Society! This is Clive's 9th award in this category received from CRS. Congratulations, Clive!! Well deserved!